Proven deposits’ of titanium, gold and coal are found in Kenya, though mining is relatively a small contributor to the nation’s output. However, revenues seem to grow as new mines begin their production. The new refiner shall provide services to help many vulnerable artisanal as well as small-scale miners and other local producers meet international standards are mentioned in the statement. Even though Kenya is a small gold producer it has attracted investors like London-listed Gold plat Plc, which also operates a mine in south western Kenya. Acacia mining Africa- focused gold producer (LON: ACA) declared as an inferred mineral resource of 1.31m ounces of gold at 12.1grams per tonne at West Kenya's Luanda Corridor project. 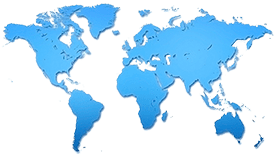 The company which is majorly owned by Canada's Barrick Gold (TSX, NYSE:ABX) the World's no.1 miner said that all inferred material is located on Acacia prospect laterally and the depth with multiple lodes open. It also pointed out its Bushiaangala prospect,'' which has known mineralization'', had not yet been incorporated to the resource. With six drill rigs active on site and two to follow, Acacia has expectations to increase the resource to two million ounces by the end of the year. Looking at the potential for an underground mining operation it plans to kick -off a scoping study towards the end of the year. This is one of the highest grade projects in Africa today, we believe that initial resource is a first step in the delineation of a multi-million ounce high -grade corridor says chief executive officer Brad Gordon in the statement. 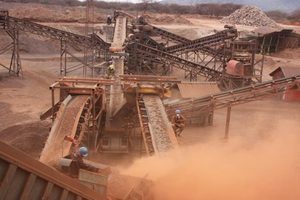 Operating in Bulyanhulu, North Mara and Buzwagi mines in Tanzania, Acacia has spent the past years focused on bringing down costs, highest among the sector. Soda ash which is used to make glass , in which Kenya is the world’s third-biggest producer and ranks sixth in output of fluorspar, which according to the U.S is used in steel making as per their Geological survey. Kenya also has deposits’ of sapphires, rubies, gold and coal .Planning to set up gold refineries in order to help small scale miners which are in the west of the country said the Petroleum and mining Ministry. And the government is seeking consultants to advice on the construction of the same. The most successful mining operation in Kenya has been base Resources' subsidiary, base, Titanium, who shipped its first consignment worth USD 305 million project in Kwale county in the south coast region in 2014 In the East African nation's western town Kakamega Kenya is seeking consultants for a feasibility study on a planned gold refinery in a bid to boost earnings by small-scale miners. The project aims to improve the livelihood of the beneficiary community, regional economy and which will in turn improve that of Kenya as a whole. Thus creating direct and indirect jobs for wealth creation through refining of gold’s international standards," was said by the Ministry of Petroleum and mining. In the Daily Nation newspaper, in a statement. To process soapstone and granite the ministry also plans facilities. And consultants have until Nov. 8 to show interest, according to the statement. It was disclosed that Acacia has been having talks of merger with Canada’s Endeavour Mining (TSX: EDV), owning five operating mines in Africa and is building its flagship Hounde project, in Burkina Faso. Experts say that the combination of both companies would create $3.4 billion Africa- focused gold producer.